After Portugal’s collapse in this summer’s World Cup in Brazil, Paulo Bento, the Portuguese National Team Manager, has come under fire to resign or for the FPF (Portuguese Football Federation) to sack him. I’ll take a look today at the Top 10 reasons Bento should be fired. Paulo Bento was born in Lisbon on the 20th of June 1969, he has had some good results over the years as a player, and as a Manager at Sporting CP. Bento even picked up the nickname of Papa-Taças (which translates into Cup Eater) during his tenure at Sporting. As a Manager he lost out on the top prizes including the Liga title, as well as any Euro trophy. His loss to Bayern Munich with a 1-12 aggregate is the record for worst loss by a team in the Champions League, a credit no one wants on their resume. Of course to the FPF, Bento’s record made him the leading candidate, and on September 20th, 2010 following Queiroz’s dismissal, Bento was hired. Since then, Portugal has delivered two horrible qualifying campaigns for the 2012 Euro’s and for this World Cup. On both occasions the National Team needed play-offs to qualify, after ending up second behind Denmark and Russia, in relatively easy groups. Most football pundits had Portugal doing well at this World Cup, although they were slotted in the Group of Death. Expectations were that Portugal would qualify easily in second place from that World Cup group stage. After the early exit of Portugal from the tournament and the embarrassing defeat by the German’s, many fans and media alike have been critical of Bento’s management of the team. 1. Lack of flexibility in formations – Whether Portugal is playing Azerbaijan, Northern Ireland, Israel, Denmark, Spain, or Germany the formation is always a 4-3-3. Whether the NT is up by a goal, down by two, it is always 4-3-3. If Bento was on Top Chef he would cook the same meal with the same unwashed frying pan, and go out in the first round. Unfortunately with the FPF bottom of the table results are good enough to extend a contract till 2016. 3. Playing favourites/Squad selection/Playing over the hill players : Brazil WC 2014 saw 6 of the starters for Portugal were over the age of 30, including three of the back four, and no one was younger than 26. Bento played until he was 35 so has the penchant to believe in older players. He also doesn’t like to feature young players in primetime. Portugal has a wealth of talented young prodigies that unfortunately get wasted at club and country. 4. Pride & Stubbornness – Even after terrible results Bento fly’s against the wind, being hounded by the media and fans at the closing press conference in Brazil after the early exit, Bento replied I have no intention of resigning. Questioned about his formations and squad selections he said, it is not his fault and looks to blame external sources. I am paraphrasing here, but that was the message. If the expectations were higher, Bento would’ve been ashamed and would’ve quit. 5. Training – Your team is headed to a World Cup in very hot and humid locations. The sensible thing to do would be to acclimatize your team to the environment before the tournament. Nope, Bento went for some friendlies in the US, mostly in the North East, meanwhile Northern Euro teams like Belgium, Switzerland, and of course Germany performed well in the heat. 6. Dead ball preparation/Set pieces Offence and Defence – In an extremely tough tournament with narrow decisions, most high level teams have worked out some ingenious plays both to defend and attack. Yet the NT has been weak for years on defending set pieces, and also generating goals. If it is such a deciding factor, why does the NT look so disorganized? We have lost countless BIG GAMES from the inability to win or defend the dead ball. A reasonable man would make this his priority. 7. Failing to adapt quickly in-game/Game time decisions – Joao Perreira is being over-run on the right, Veloso and Mereiles, are losing their markers in midfield because of the other team’s ability or your formation. Yet the status quo is kept to the breaking point, and even though the NT is in a draw or are losing, there are no changes to the formation or player substitutions made until the dying moments of a game. 8. Restraint of players/Leading by Example – Bento’s previous World Cup experience was playing for the NT in 2002 and crashed out when Portugal exited in the first round. He also was suspended for 5 months after a bust-up with the Referee in that tournament. Did Bento learn from his experience? Nope, he accused a Ref of bias after the Germany game in Brazil. His example leads to players surrounding the game officials, and taking idiotic red cards, as Pepe did in that Germany game, none of which is beneficial going forward. 9. The FPF earpiece – It is common knowledge in any previous Manager hiring that the FPF have demanded a Portuguese speaking Manager so that they can communicate with them. No foreign tongue is welcome, because the FPF wants to influence the Manager. Bento has a very strong relationship with his handlers, and even after poor results, they have no interest in firing him. Now only if Benfica & Porto loved their own that much. 10. Not playing a true Defensive Mid/Trinco – Bento prefers defence by committee so employs 3 in the middle that are considered more box to box midfielders in Veloso, Meireles, and Moutinho. His thinking is more offensive in its approach as all 3 create more than they defend. With Joao Perreira on the wing in the Neverback position this is a catastrophic mistake, one that Bento has over-played in his tenure as NT Manager. Quieroz was wise to this flaw in the 4-3-3 so deployed Pepe & Meira as DM’s which led to the NT not surrendering a goal in the qualifying round in the 2010 World Cup in South Africa. So with William Carvalho hitting the stage and being widely proclaimed as the best young DM in Europe, the thought was that he was going to get a big role. He did, unfortunately it was in warm-up games. Until injury struck Crvalho was rooted to the bench. That concludes my Top 10 list of reasons for Bento being fired, but in contrast it is not like Bento hasn’t accomplished anything in his time as Portuguese National Team Manager. He did reach the semi-finals of the Euro Tournament in 2012, although some would argue it was the players doing. He also defeated World Cup champions Spain 4–0 in Lisbon, imposing the largest defeat to its Iberian neighbours in our history (albeit in a friendly). 1. Decisions are being made based on politics, not productivity. 3. Employee complaints are on the rise. 4. The manager abuses his or her power. 5. Employees are being thrown under the bus. I believe I checked off most of that list, especially when you view fans as employees. Even if you don’t the least you would consider fans, is as stakeholders in the business of football. If a CEO loses his stockholders trust on Wall Street, he is terminated. Sadly that is not the case in the world of football. 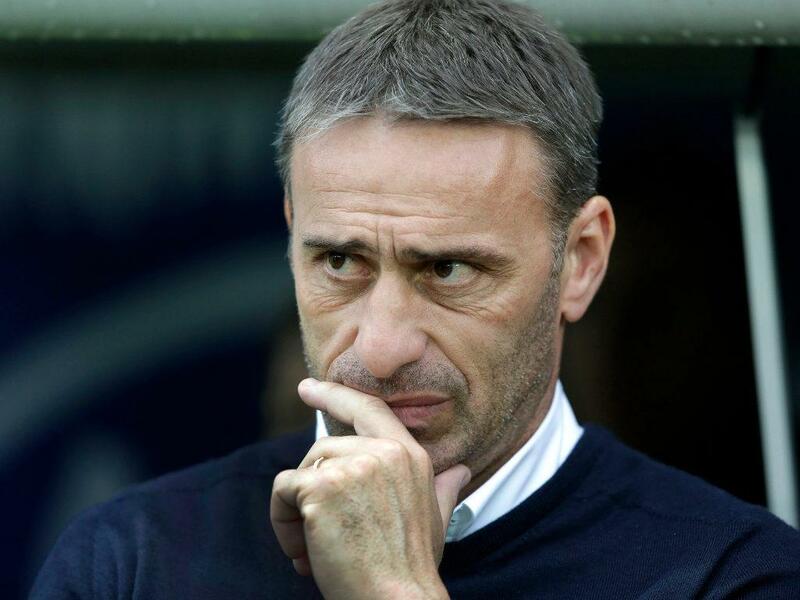 Would you like to see Paulo Bento fired? What has he done that has upset you? If not, then what is your reasoning for keeping him at the helm?